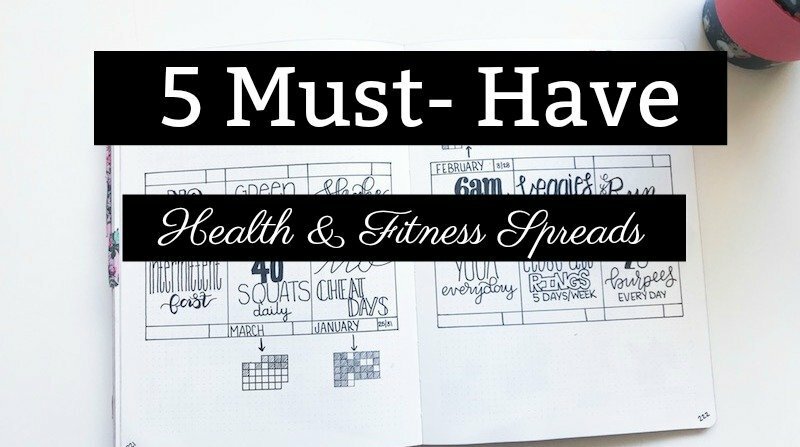 These are my top 5 Must-Have Health and Fitness Bullet Journal Spreads. These pages will help keep you motivated and accountable. April 2018 marks the beginning of the Bullet Journal Weight Loss Challenge, hosted by yours truly. It’s totally free, and if you haven’t signed up yet, you can do so here. In preparation for this challenge, I’m putting together a number of posts to help encourage and motivate the participants in their journey. 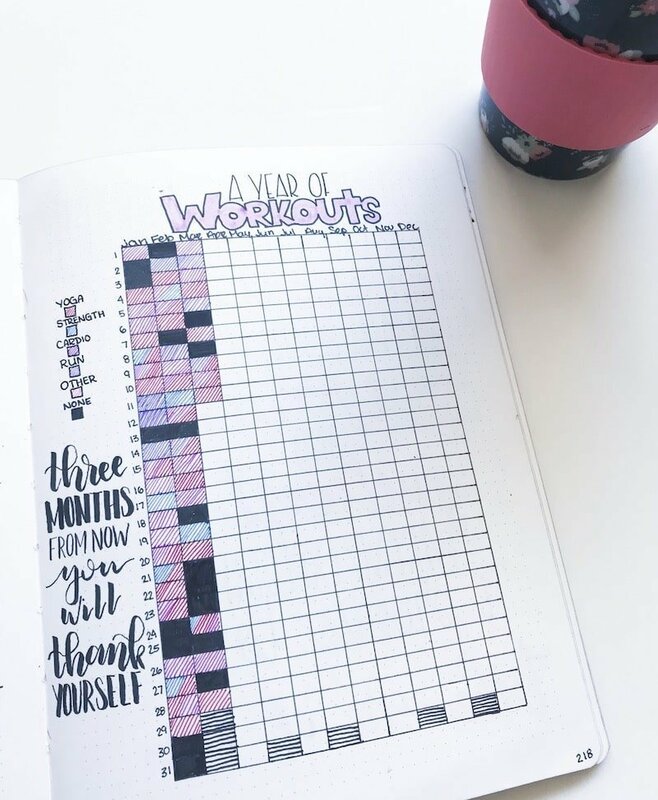 The following health and fitness bullet journal spreads have helped me lose over 45lbs. and keep it off for four years. Granted, I still have work to do, and these pages don’t guarantee success. But, they are a great resource for motivation and accountability. *I have to note this so I don’t get angry comments. I am 4’11”. The low 100s are considered a healthy weight for my height. The obvious spread here is a measurements and weight tracker. You can set this up however you want. Throughout my bullet journal journey, I have had different styles. But, they each offered the same system. A place to track my progress. The first spread I created was a weight countdown. I made one box for each pound I wanted to lose. Starting with my current weight, I wrote the numbers in until I wrote in my goal weight. Then, as I lost each pound, I colored in the corresponding box. 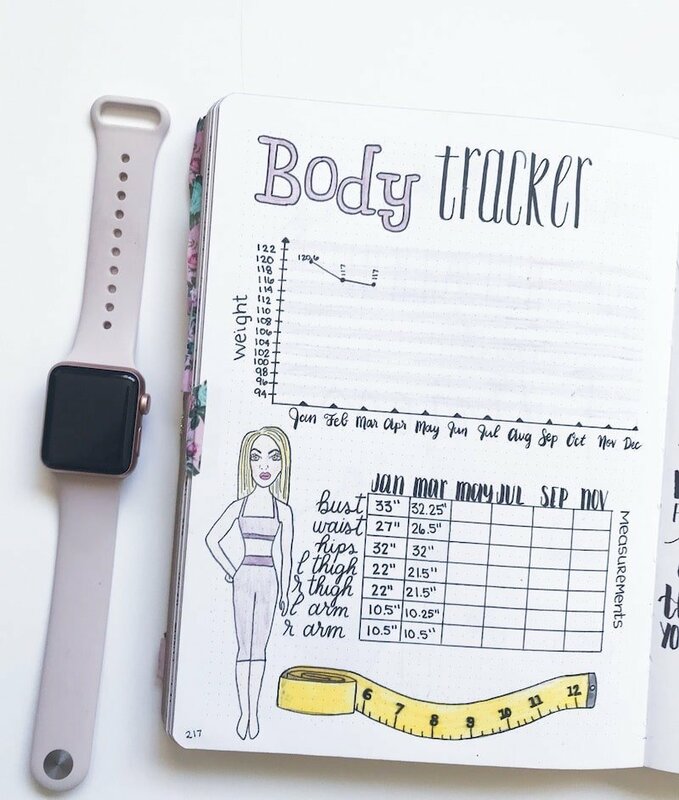 In my current journal, I am using a line graph to track my monthly weight and a chart to track my measurements every two months. Have you seen the ‘Year in Pixels’ spreads posted on Instagram and Pinterest? This is a similar concept. I created a color-coded key with the different workouts I do regularly. Then, I made a year worth of boxes, corresponding to the months of the year. Each day, I fill in a box according to what I did for exercise that day. This is extremely motivational. I love seeing the bright colored boxes over the black boxes, as the black boxes represent a day without a workout. It’s motivation to make time to workout every day. 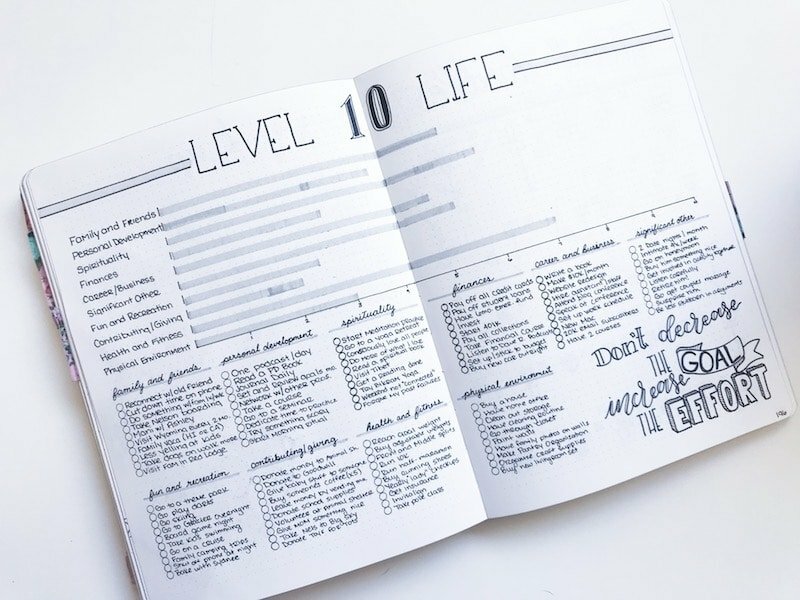 If you haven’t heard of Level 10 Life or would like to know how to create your own, head to this post. This spread may not be completely health and fitness related, but it serves a good purpose towards your fitness goals. Once you analyze your current level of success in the 10 areas, you can start prioritizing. You can see the areas where you struggle as well as where your thrive. This can help you set an action plan for your fitness goals. This is where you will write down your health and fitness action plan. It can include all of the steps you’re going to take to reach your goals. Some examples might be: no eating after 8PM, trade daily chips for a handful of nuts, do cardio three times per week, or walk 8,000 steps per day. Every goal needs an action plan. Without one, a goal is just a wish. It sounds cliche, but it’s true. You have to know what you are going to do and how you are going to do it. If you have a full-time job, when will you find time to workout? In the mornings or evenings? Will you meal prep? If so, on what day? These are examples of questions that can drive your action plan. Writing down your action plan will help cement these actions in your brain and make you more likely to accomplish them. I suggest coming up with 5-10 actionable steps you are going to start taking. 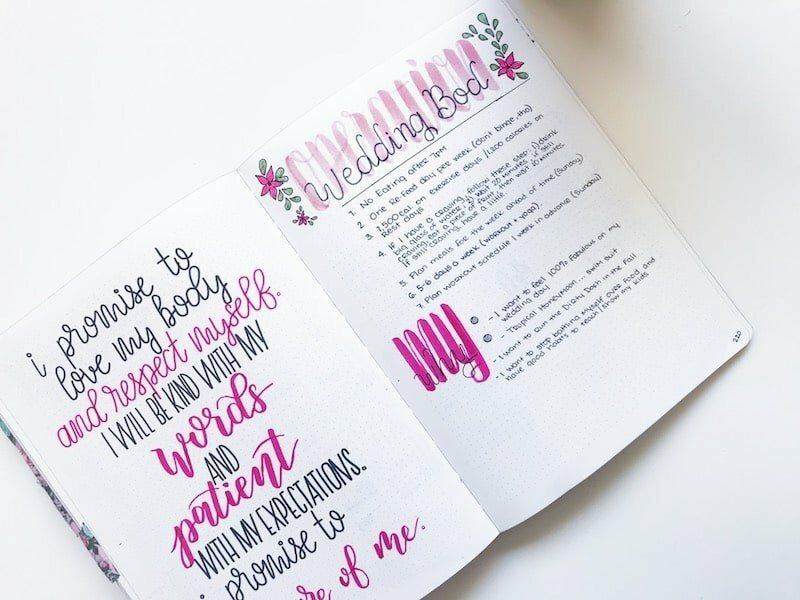 This can be a simple list, or you can dress it up with some doodles, lettering, and dividers. It doesn’t matter how you write it down, as long as you write it down. 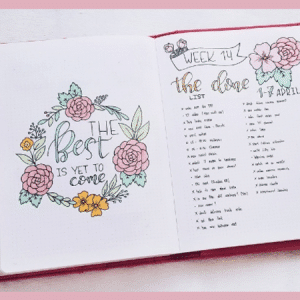 This is a new and fun spread idea for your bullet journal. Create a 1-2 page spread with either 6 or 12 boxes on it. 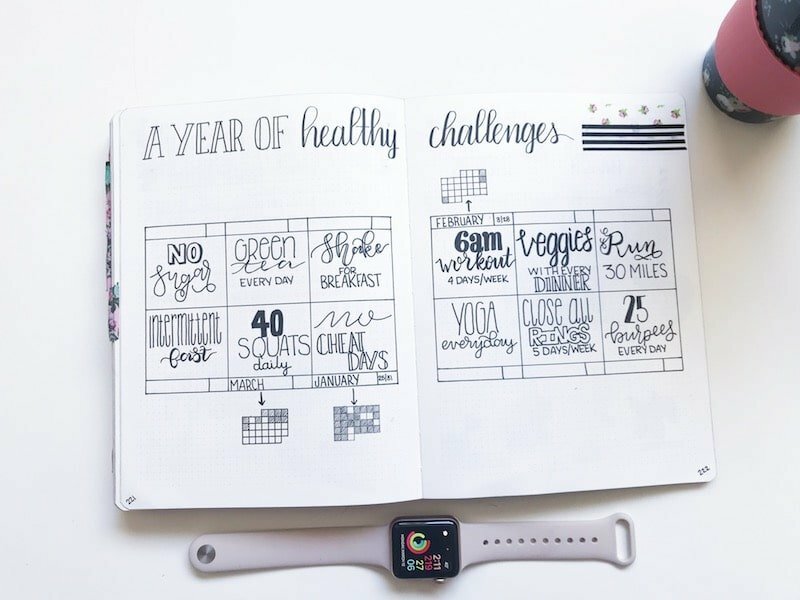 Then, within each box, write down a healthy challenge you want to try within the next 6-12 months. Some examples include: eat veggies every day, walk 8,000 steps per day, no sugar, do 40 squats per day, drink protein shakes 3 times a week, no eating out, etc. As you plan for the upcoming month, pick one challenge. Write the month below or above the box with the corresponding challenge. Then, if you have room, create a small calendar that corresponds to that month somewhere next to the box. In my example, I have room above the top boxes and below the bottom boxes. For each day that you complete your challenge, mark off the box corresponding to that day. This is a fun way to add healthy challenges to your routine without getting bored. And, you’ll already have all of your challenge ideas written down so you don’t have to think them up month after month. 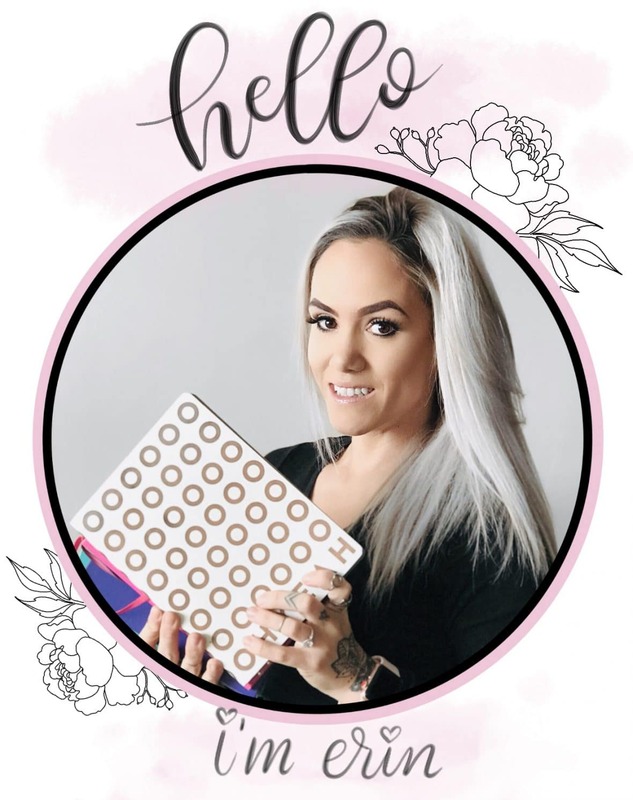 I would love for you to share your health and fitness bullet journal spreads with me on Instagram. Tag me, @the.petite.planner, so I can see them. 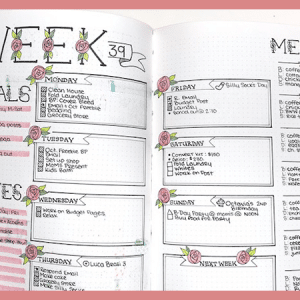 And, if you haven’t already, be sure to join the Bullet Journal Weight Loss Challenge. It starts April 1st, 2018, but you can join in anytime. We will be doing a lot of fun motivational challenges, providing support in a Facebook Group, and sharing our progress as well. It’s all free. 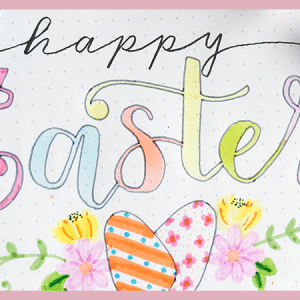 Just click this link and sign up to get access to the Facebook Group and freebies, which will start going out April 1st. Thank you for this post! I especially love the Year of Healthy Challenges! I am new to bullet journalling and this gives me some inspiration! It’s such a fun way to incorporate some healthy activity into day to day life. Glad you enjoyed it! And thank you for the kind words.